POS|247 is tailor made wireless Point of Sale system. You won’t be tied down to a specific location, making it very easy to perform transactions on the go. A lot of thought has been given to the development of this solution. 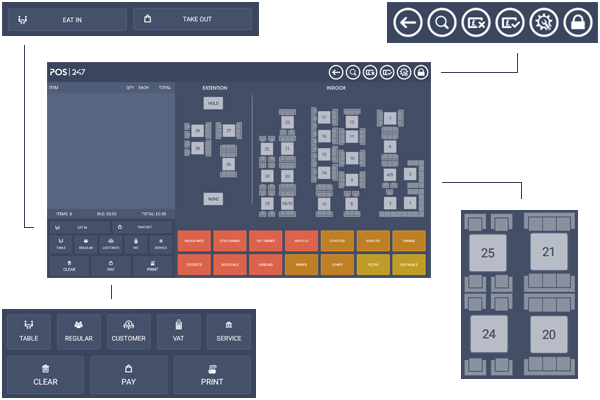 Every part of POS|247 is self-explanatory and best of it all, it’s fully customisable. As humans, we all make errors. 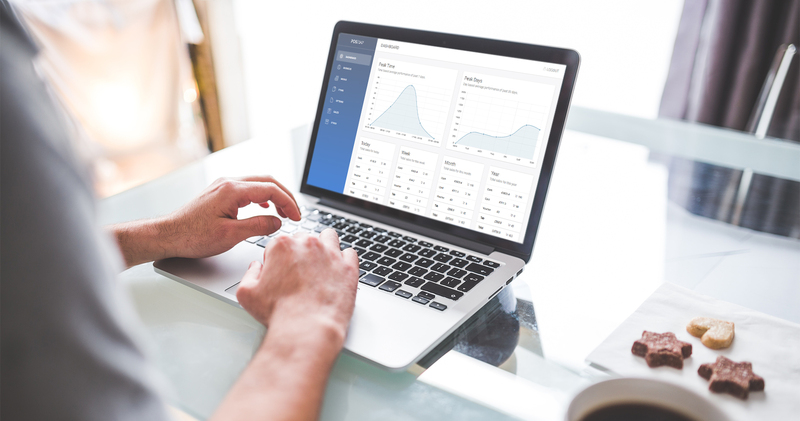 But with the straightforward POS|247 system, you don’t have to worry about making mistakes. 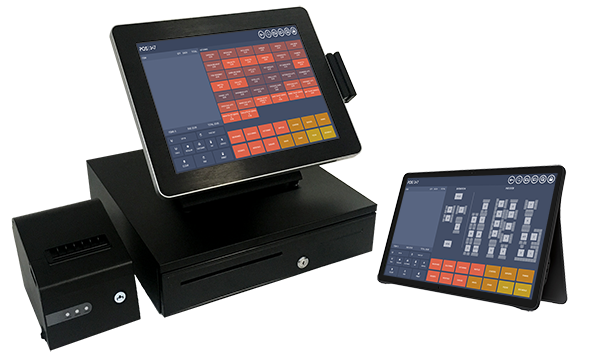 POS|247 is tailor made wireless Point Of Sale system designed for Hospitality industry. It’s more than your traditional cash register. It puts you in control on-the-go with real-time overview of your daily intakes & stock updates. We’ve taken out the traditional pen & pad based order taking procedures and replaced it with tablets to wirelessly print and/or display orders on-screen. 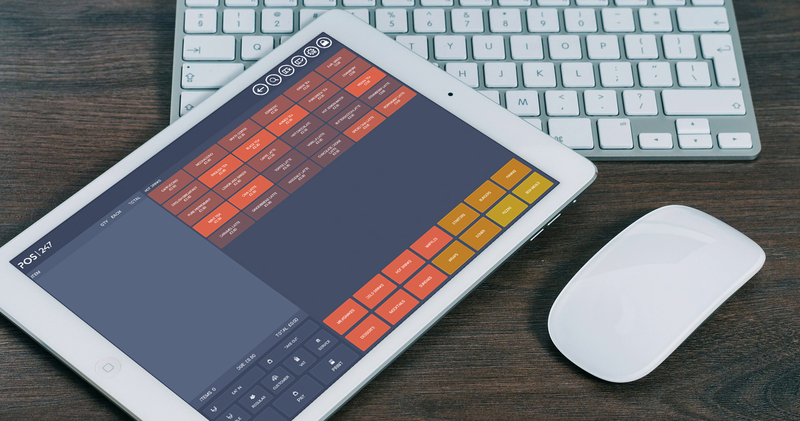 POS|247 is built according to your specification, loaded with tonnes of features making order taking easier, faster and tailored to your business needs. Focus on your customers by setting loyalty discounts, adding regular customer accounts & applying personalised savings! Help your staff assist your customers by taking delivery instructions instantaneously. 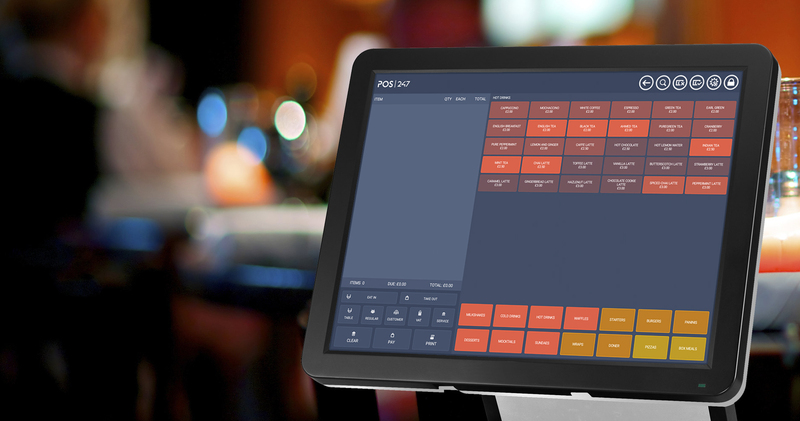 That’s just a non-exhaustive list of ways the POS|247 system can be adapted to suit your requirement!